Covers every running topic imaginable. Reasonably priced but not the cheapest. 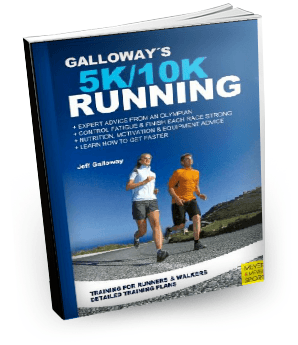 What Does the Book Have to Offer: As one of the world’s top selling books about running, Galloway’s book has priceless information that should assist you kickstart your running practice. With this book, you can slowly turn your running passion into a career. His ways are clear and straight forward. Absolutely anyone who plans on becoming a 5K or 10K and beyond runner will stand to gain the most from this incredible piece. Some of the practical advice put out in the book can only be found there. Galloway has helped almost half a million people around the globe to become true runners through his own training program that is illustrated in the book. The book has a lot to say on how one can best prepare themselves to achieve the dream of long distance running. Right from the basics of diet and living habits, the book explains on the changes that are going to positively impact your running practice and hopefully turn you into a champion runner like he was. His methods have been adopted and proven to be true over and over for almost all cases.Other than assisting beginners on their long journey to victory, Galloway has also put in important advice for those who are already at a later stage in that journey. His goal programs will help any runner improve their time within no time.He also has some valuable points on the best solutions for nutrition, medical practices as well as aches and pains. This book brings forward his personal idea on how to lead a pain free long 5K and 10K running and training. A detailed race-day checklist system will make sure you are at your best on the D-Day. Summary: From a runner’s point of view, Galloway’s book has a sweet spot in the best books about running category. It is well written and it has a massive following to back its claim. It is definitely a must read for any runner.